It’s debut week! 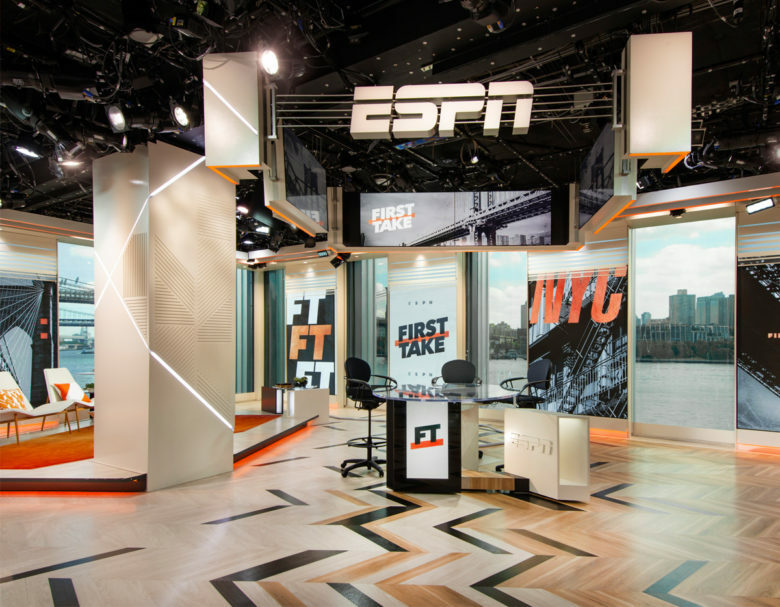 ESPN rolled out their new, architecturally inspired studio for ‘First Take’ that features views over the East River to the Brooklyn Bridge. Thanks to our team at Mystic Scenic Studios for another great collaboration. We’re looking forward to watching Stephen A. Smith, Max Kellerman, and Molly Qerim Rose hash it out weekdays at 10am EST! Want to know more about the process and inspiration behind this flexible, technology-packed broadcast design? Check out the write up on NewscastStudio! Stay tuned for a full project image gallery coming soon!